This is a little different than my usual style of post, but I couldn’t resist. First of all, most everyone I know drinks coffee – me included. I knew there had to be some good information to share on how to save money fast on coffee. So for all my coffee people, this one’s for you. Grab a nice hot Cup of Joe and have a read. 2) people love money (sometimes in that exact order). So if the first thing you look for in the morning is your beloved coffee, then listen up, because the following tidbits could save you hundreds, even thousands, of dollars per year. Consider this: coffee is the second most highly traded commodity in the world, after oil. 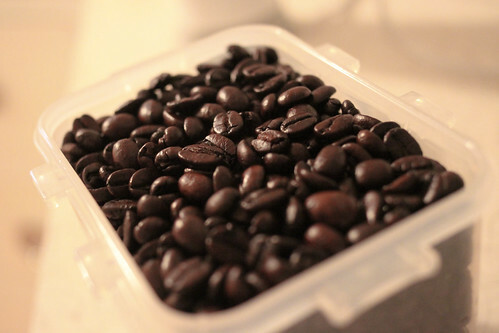 Some studies say that Americans consume about 10 pounds of coffee beans per year. To put it simply, as $10 billion per year industry, coffee is big business. If you love Starbucks Frappucino’s for example, opt for an iced latte instead, it’s pretty much the same thing. The trick is to ask for extra syrup. If you’re still feeling creative, buy black coffee and add your own combination of milk, cream, sugar, etc. Or you could ask for a double shot of espresso in a large cup, and then create your own latte by adding your own milk. You may not get the taste right the first time, but it will help you save some money in the long run. Plus, it could be fun to make your own creative combinations at the condiment station. Gift cards won’t necessarily save you money, but here’s a creative twist. Look for gift cards on Craigslist and Ebay. If you work for a big company, see if they sell discounted gift cards. In most cases, you can probably find unwanted gift cards and discounts. This probably isn’t worth your time if you’re an occasional coffee drinker. But if your coffee habit is burning a hole in your pocket, this tip could save you quite a bit. Used coffee grounds can save you a lot of money around the house. You can use coffee grounds as a natural deodorizer in your fridge or freezer. You can use coffee grounds as a natural fertilizer in your garden or compost heap. The high nitrogen content is very good for the soil. Coffee grounds are also great for keeping neighborhood cats and ants out of your garden. Cats just don’t like the smell, and chemicals in coffee burn ants’ legs. As if that weren’t enough, you can stretch the coffee you drink by simply adding 50% new coffee grinds to your already used coffee grounds. It’s just enough to make it taste fresh, and also stretch the beans. You may want to do this especially if you’re buying expensive coffee. Just try it out and see if you can taste a real difference. You can always tweak the ratio to match your tastes. Do you like flavored coffee? Why not make your own? Here are some cool things you can add to your coffee grounds: whole cloves, dried blueberries, grated orange peels, lemon peels, cinnamon sticks, toasted walnuts, toasted almonds, cocoa, nutmeg, etc. You can even add the liquid extracts to ground coffee like vanilla. If you buy your own coffee beans, consider membership to a coffee club. There are plenty of coffee clubs online. Typically you’ll save money by buying from them rather than buying beans here and there. Just Google “coffee club” and you’ll find tons of coffee-of-the-month clubs to cater to your taste and budget. Many people just drink coffee for the caffeine boost. If you just drink coffee for the caffeine induced energy fix, consider this; exercising or eating fresh fruit may give you more energy than a cup of coffee. Some studies say that eating an apple produces much more energy than a cup of coffee. Most people don’t eat enough fresh fruits and vegetables anyway, so you can’t go wrong with this. Exercise has many known health benefits, including adding more pep in your step. Now this one is near and dear to my heart. Buy a good coffee maker! Buying a high quality coffee maker and consistently using it is the best way to save money on coffee. You’re buying the beans and grinding them at home anyways (you are, aren’t you?) Pod coffee makers are getting really popular, and while they’re great because you don’t have to make an entire pot of coffee (especially if you live alone), the price of constantly buying new coffee pods might start to get a little out of control. Still, they’re a lot cheaper than going to your favorite mega coffee chain. Some large retailers (even ones known for not treating their employees very well) are starting to offer Fair Trade coffee. This is good for coffee farmers because it helps them earn a more decent living wage for their work. But it also helps consumers because this coffee, which is typically more expensive, is more affordable now that it’s on the shelves of major retailers. It’s too early to tell if this will have a lasting and meaningful impact on coffee famers, but it’s a good start. If you can buy fair trade coffee at a slightly cheaper price, why not? Using a mug will reduce the urge to buy coffee at overpriced cafes. Having other tools of the trade like a coffee maker and thermos will help you avoid the temptation to go out. Remember “free coffee Mondays” at McDonald’s? There are tons of free deals like this online. CoffeeNate.com has lots of giveaways too. Don’t waste your money on coffee that will go stale and lose it’s flavor. Coffee loses lots of its flavor within 20 minutes of being ground. Create coffee ice cubes to throw in your iced latte. That way your drink won’t be watered down.